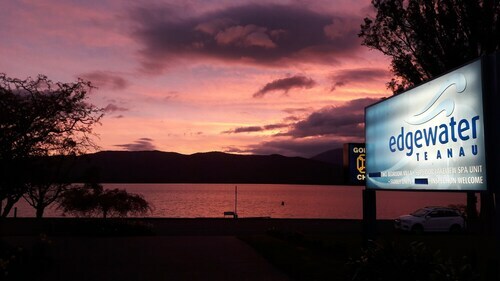 Situated on a lake, this eco-friendly hotel is 0.1 mi (0.2 km) from Luxmore Jet and 1.6 mi (2.5 km) from Lake Te Anau. Fiordland National Park (Te Wahipounamu) and Fiordland Cinema are also within 10 minutes. Located in the heart of Te Anau, this eco-friendly hotel is within 1 mi (2 km) of Fiordland National Park Visitor Centre and Lake Te Anau. Luxmore Jet and Fiordland Cinema are also within 2 mi (3 km). 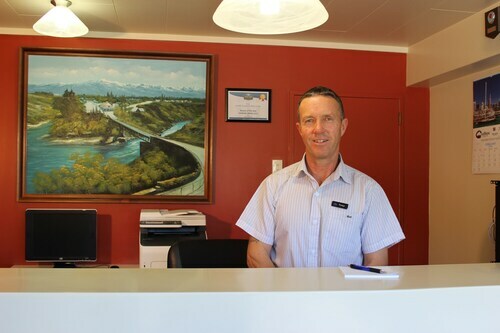 Situated on a lake, this hostel is within a 5-minute walk of Lake Mistletoe and Lake Te Anau. Te Anau Downs Jetty and Te Anau Glowworm Caves are also within 9 mi (15 km). 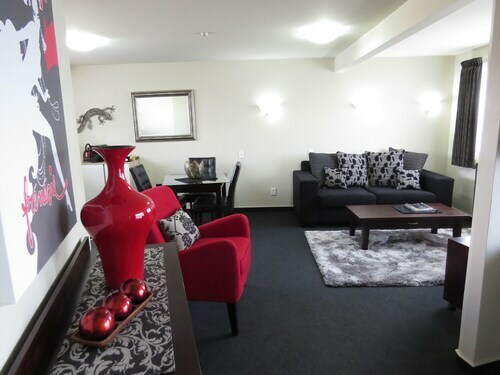 Located in Invercargill City Centre, this aparthotel is within a 5-minute walk of Classic Motorcycle Mecca and Civic Theatre. St. Mary's Basilica and Southland Museum and Art Gallery are also within 15 minutes. 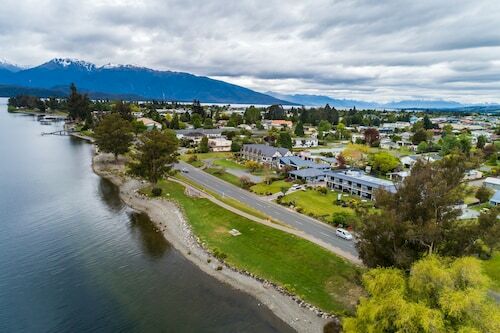 Situated in Manapouri, this eco-friendly hotel is 4 mi (6.5 km) from Lake Manapouri and within 12 mi (20 km) of Te Anau Golf Course and Lake Te Anau. Kepler Track is 12.3 mi (19.8 km) away. Situated in the suburbs, this eco-friendly hotel is within 1 mi (2 km) of Bill Richardson Transport World, Surrey Park, and Stadium Southland. Rugby Park Stadium and Splash Palace are also within 3 mi (5 km). 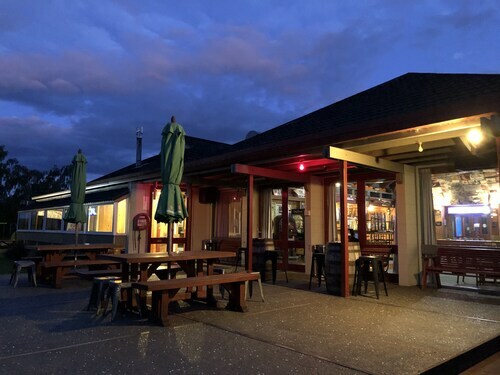 With direct access to the beach, this Te Anau motel is within a 10-minute walk of Luxmore Jet, Fiordland National Park (Te Wahipounamu), and Fiordland National Park Visitor Centre. Fiordland Cinema and Ivon Wilson Scenic Reserve are also within 1 mi (2 km). 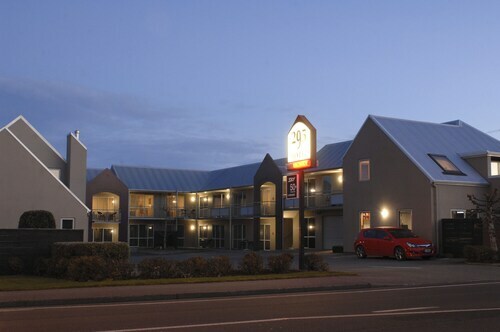 Situated in Invercargill, this motel is within 1 mi (2 km) of Southland Museum and Art Gallery, Queens Park, and Classic Motorcycle Mecca. Civic Theatre and St. Mary's Basilica are also within 2 mi (3 km). Situated near the airport, this motel is within a 15-minute walk of Rugby Park Stadium, Splash Palace, and Bill Richardson Transport World. Civic Theatre and Stadium Southland are also within 1 mi (2 km). 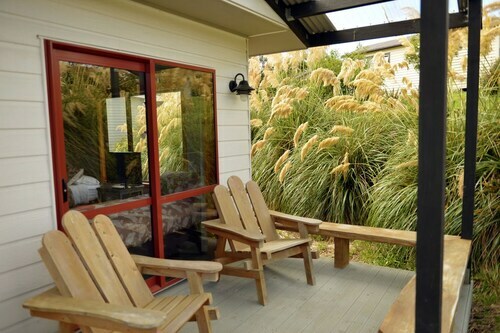 If you’re looking to explore New Zealand’s southernmost province, then our range of Southland accommodation is just what you’ve been looking for. The region of Southland is well known for its beautiful scenery, whether it is the towering rainforests, to the alpine heights, the picturesque farmlands, or the stunning beaches. 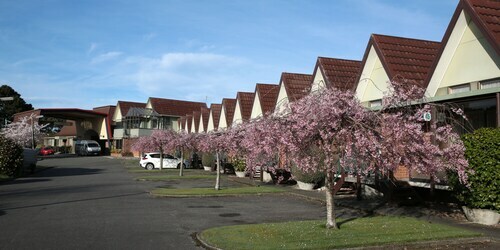 Known for its serenity, Southland is a paradise for those seeking activities that are slightly "off the beaten track". After all, it is home to the Fiordland National Park (one of the regions major drawcards), and is the gateway to Stewart Island too – separated from the mainland by a 32 kilometre strait – which is also the location of the Rakiura National Park, another haven for native wildlife. 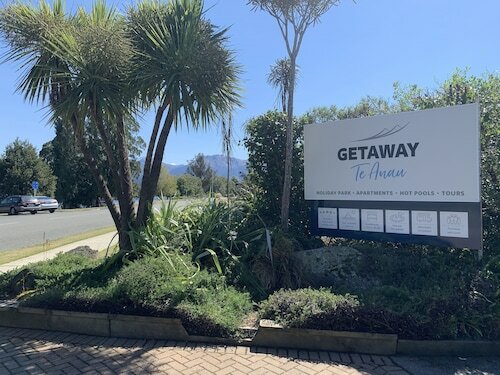 With a great range of Southland hotels located throughout the region at great low rates, you can rest assured that there will be something that meets your needs below. 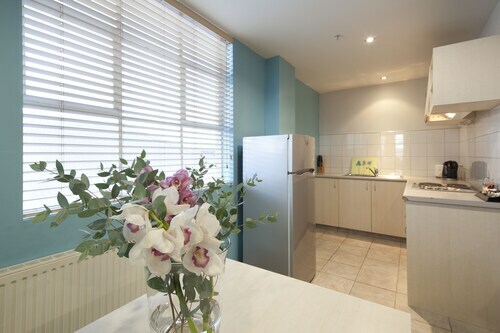 So go ahead and book your Southland accommodation with Wotif.com today! 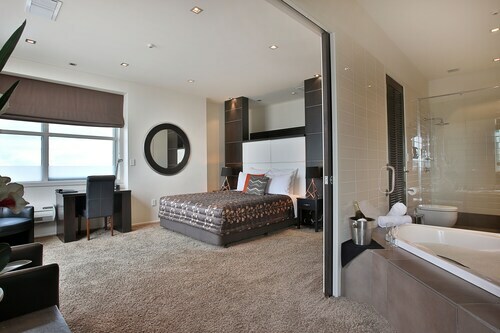 How Much is a Hotel Room in Southland? 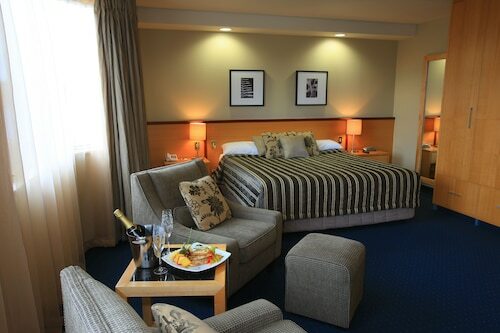 Hotels in Southland start at NZ$82 per night. Prices and availability subject to change. Additional terms may apply. Staff were friendly and helpful . A lot of the hotel has been done up and looks fabulous.But not the room we were allocated. Very friendly and great service. All took a personal interest and were helpful. fast service and very obliging. Lovely little cabin with historical significance - recycling! we really likes the individual quirkiness of the Whistling Frog. The beds were lovely and comfy. It was warm and spacious. We only got two towels when there were three of us. Great facilities.